There is nothing quite like a good cup of coffee. Whether it’s to feel more energised to face the day first thing on a morning, or for middle of the day pick me up, coffee is the go to option for most of us. Not all coffee is created equally – the range of choices is so huge now it can be overwhelming. Of course there’s instant coffee and pod coffee, but if you truly enjoy a good cup of coffee, then only freshly brewed coffee will cut it. And even then, there are options. Do you want to buy pre-ground coffee or whole roasted beans and make your own? All coffee lovers will know that the best coffee is freshly ground coffee. Even thirty seconds after the grinding process, the coffee starts to lose its flavour as the oils dry up slightly and the air hits it. And anyone who appreciates fine coffee will be able to taste the difference. If you’ve always used pre-ground coffee, you might be reading this and shaking your head – just try grinding your own. It can be a bit of a trial and error process at first, but once you get the hang of it, you will really taste the difference. And you won’t want to go back to any other type of coffee – I know I wouldn’t. We’ve found the best espresso bean for shots at home. 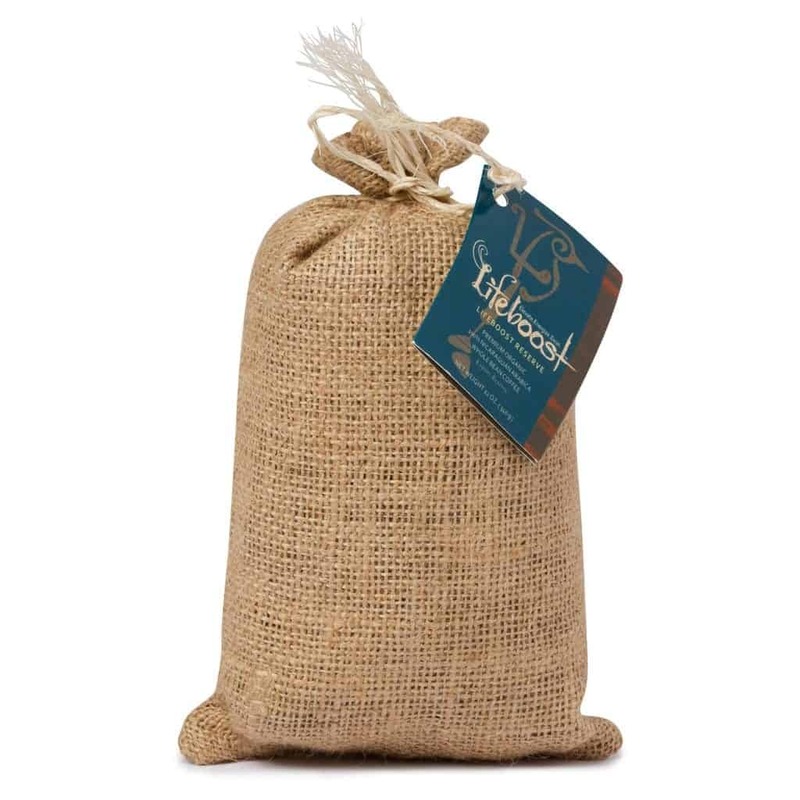 This rich and smooth coffee from LifeBoost is stunningly delicious, Certified Organic, Fair Trade, and mycotoxin-free. So, how do you choose the right espresso coffee beans? Well of course you want a good quality coffee, but a lot of the rest of it comes down to personal preference. The roast – Do you like a dark roast? A medium roast? The best advice for buying coffee beans is to choose one and try it! It’s often trial and error, but with something such as how a coffee tastes, it’s very subjective – what I think tastes great might not appeal to you and vice versa. Try a few from this list and you’ll soon find your favourite! 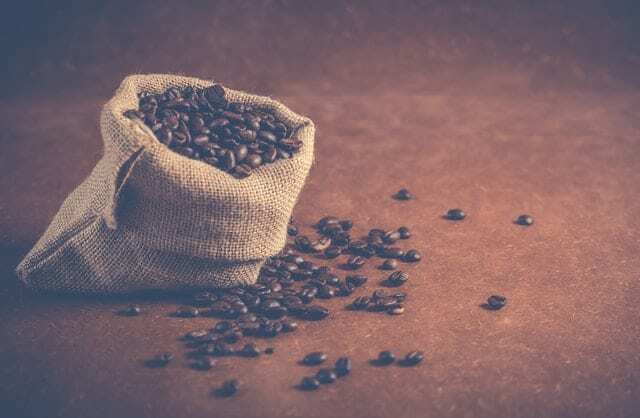 Below you will find reviews of the five best espresso coffee beans I like the most to help you decide on which ones to try out. In the below table you will find a quick, easy to read check list about the five brands I’ve chosen. Use it to help you decide which reviews to read first. Now you’ve had a look at the table, you’ll have a better idea which of the coffee beans brand you would like to try first. Read on for some more detailed information about each brand. Lifeboost has an impressive line of coffees, but their espresso blend is especially stunning. Featuring a smooth chocolate depth, a dark caramel sweetness, and a slight fruity aroma, espresso shots made from this bean are among the best we’ve ever had. The magic is in how carefully the beans are grown. It all starts in the highlands of Nicaragua, where the beans are grown on rich mountain soil and the climate is perfect for growing coffee. These beans are Certified Organic, so you know there were never any pesticides or harsh chemical fertilizers used at the farm. They’re also Fair Trade, which means the farmers were paid $0.30 extra per pound of coffee beans. It may not sound like much, but the current price of coffee is just $1.00, which means these farmers are paid 30% more than most—and that’s how these beans are grown so ethically. Overall, LifeBoost’s Espresso B​​ean is a stellar pick for anyone who wants to know their coffee not only tastes amazing, but also comes from an honest, ethical, and sustainable farm in Nicaragua. 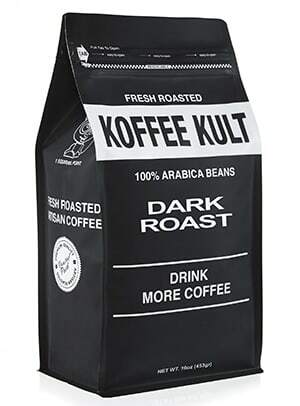 The Koffee Kult dark roast is a rich tasting, aroma filled experience that will leave you wanting more. The heavy bodied coffee taste fantastic – because Koffee Kult use only 100% Arabica beans, there is no bitterness in the coffee. The Koffee Kult beans are perfect for drip coffee machines, pour over machines, French presses and espresso machines and they taste great in both hot and cold brews. The flavour is intense and bold with a slightly sweet under taste – exactly what coffee should taste like. The fantastic taste comes, in part, from the small batch roasting system employed by Koffee Kult which ensures an even roast and lasting freshness. The combination of the great taste and smell coupled with the low price is what makes Koffee Kult my pick for best of the best. Overall, this is a great cup of coffee at a great price. Perfect for anyone who likes a good dark roast with no bitterness and the right mixture of smoothness and depth. The Death Wish coffee sure packs a punch. Marketed as the strongest coffee in the world, this may be a slight exaggeration, but the Death Wish coffee does have twice as much caffeine as the average brand. The dark roast provides a smooth yet bold flavour that will delight coffee lovers – and let’s be honest, who doesn’t want that extra caffeine kick, especially first thing in the morning. It might be one to stay away from after 8pm, but it’s the perfect pick me up for earlier in the day. Although the Death Wish is the most expensive brand on the list, it’s also the one that scored the highest with customers, so it’s definitely worth the extra few dollars. It’s also USDA certified, meaning you are guaranteed that all of its beans are organic and ethically sourced. It’s also kosher. 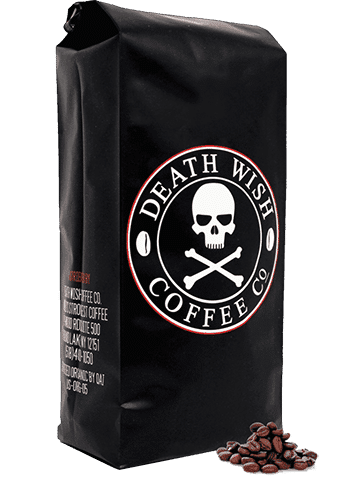 Overall, the Death Wish coffee is perfect for anyone who has a level of tolerance to caffeine and wants to get the effects without having to drink four or five cups. 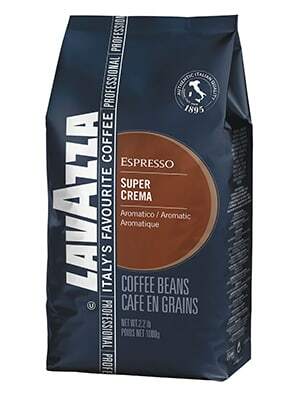 The Lavazza Super Crema mixes a blend of Central American, Brazilian and Indonesian beans for a delicate flavour with a hint of sweetness. The coffee is suitable for fine grinding and course grinding, so it’s a good choice for both drip coffee makers and espresso machines. This coffee produced a good amount of crema which lasted well. For me, the coffee taste wasn’t strong enough, but to be fair to the brand, they do advertise this bean as a mild coffee taste, so you definitely get what is advertised. Overall, if you want a good, strong tasting, this isn’t for you. It’s perfect for anyone who enjoys the caffeine buzz but isn’t particularly fond of the taste of coffee and prefers something sweet and less intense. The Kicking Horse coffee is made from a blend of African, South American and Indonesian coffee beans. It is roasted in Canada. The product is fair trade and organic and the company believes in using beans from sustainable crops. The beans are also kosher. For this reason, the coffee is a bit pricier than some other brands, but it’s worth the extra few cents to help to preserve the environment. The Arabica beans are grown 3,000 feet above sea level and whether or not it’s a myth that the altitude improves the taste is open to debate, but for whatever reason, the kicking Horse Espresso tastes good. It’s a medium roast coffee with a bright colour and a slightly fruity hint. It tastes good and you can tell it’s been freshly roasted. Overall, the Kicking Horse Espresso is a great choice for anyone who enjoys a good cup of coffee at a fair price knowing that they are not ruined the environment further to save a few cents. 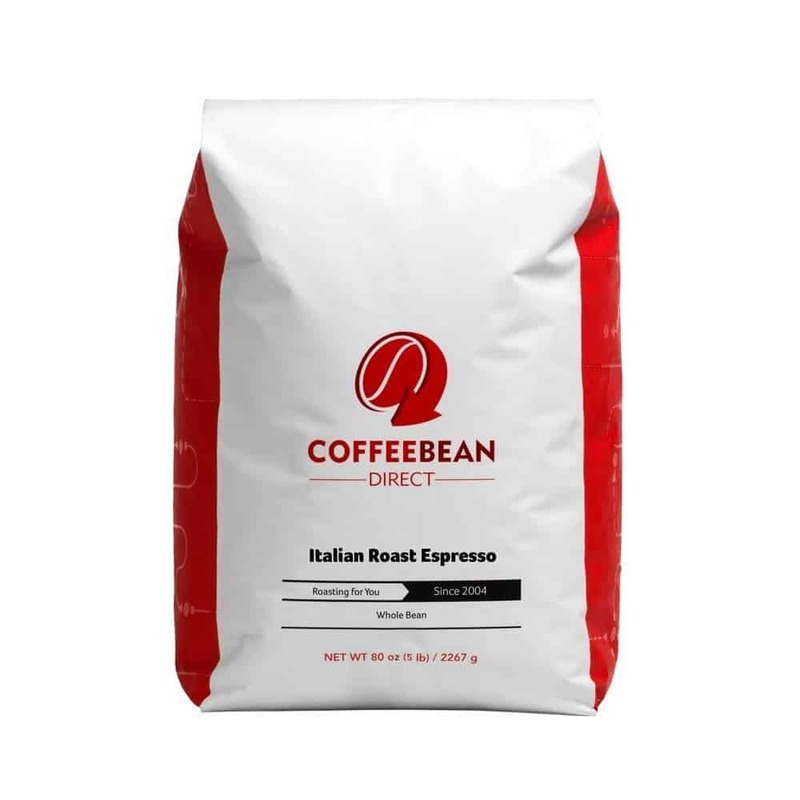 Made using a blend of American and Indian coffee beans, the Coffee Bean Direct Espresso promises a rich, dark, full bodied espresso with a big bite. And it doesn’t disappoint. With a smoky hint and an under taste of cocoa, this coffee’s natural flavours really shine. It’s hard to believe this coffee is less than $10 per pound as it tastes anything but cheap. Overall, this is a great coffee for anyone who is on a budget – or who wants to pay less for an equally good product. ﻿What are the best home espresso machines?